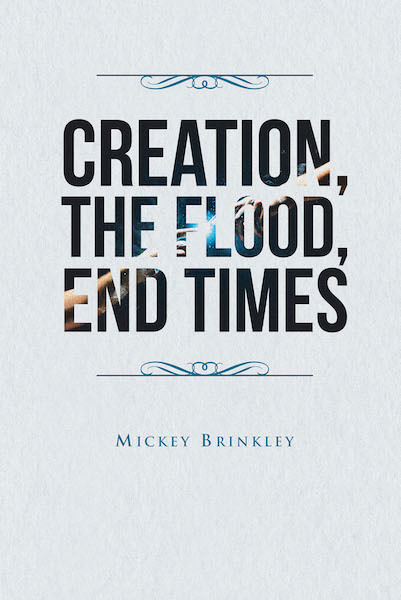 Mickey Brinkley chose the title for this book Creation, The Flood, End Times because these were and are the most dramatic events in mankind's past and future. The birth, life, and death of Christ is a very important part of our lives, but that event basically just affected those who believe in Him. The events listed in this title have and will affect everyone, believers and nonbelievers. I believe the end is at our door. According to Matthew 24, the time of expected lifetime will be up for the generation living when the Jews came back to Jerusalem in 1948, which will be up in 2018. Jesus said this generation would not pass away until all things were fulfilled. See Psalms 90:10 for the expected lifetime. Mickey is currently in the process of writing a new book, stay tuned.